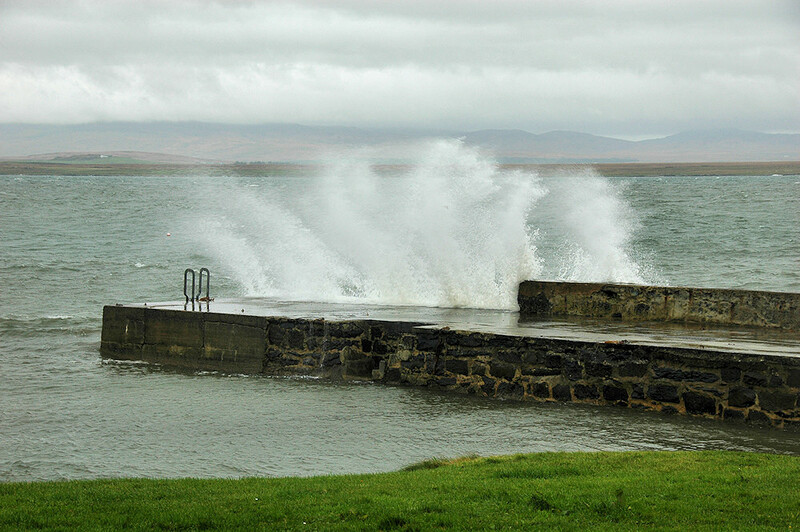 From a moderately windy day on Islay, a wave breaking over the pier in Port Charlotte. On a proper stormy day this looks even wilder and more dramatic. This entry was posted in Cloudy Weather, Landscape, Repost, Sea Loch, Village and tagged Islay, Loch Indaal, Port Charlotte by Armin Grewe. Bookmark the permalink.